The month of April is traditionally the start of highway and road construction throughout the country and many Teamsters face hazardous conditions while working in these construction zones. 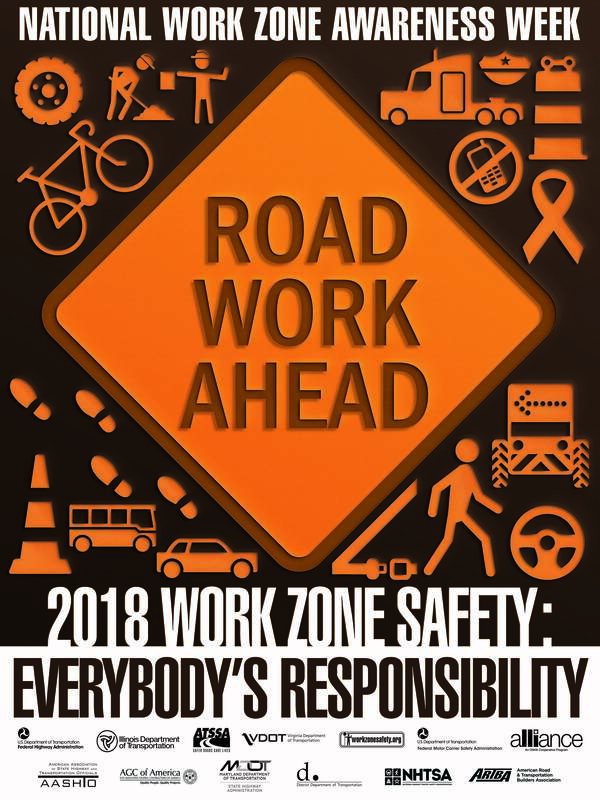 The National Work Zone Awareness Week campaign kicks-off Monday, April 9 and highlights what motorists can do to be safe and effective drivers when passing through these construction areas. On average, nearly 600 people, including 120 workers, are killed in accidents at these sites annually. An additional 30,000 people are injured. Teamsters Local 700 represents more than 400 Illinois Tollway workers, 500 IDOT workers and many public works members who are sometimes assigned to work in these construction zones. Pay attention to the work zone and speed limit signs. Be extra vigilant because the traffic pattern will be different than normal. Be patient. The work will make your travel much better in the future. Respect the workers. They are doing their job to improve your commute. Don’t drive impaired or distracted. No phones. No texting. No drugs. No alcohol. Plenty of sleep. Go Orange Day is Wednesday, April 11. All roadway safety professionals across the country are encouraged to wear orange to proudly show their support of work zone safety. Go Orange Day and NWZAW is an important time to show your support of the roadway safety industry, especially to the families of victims who have lost their lives in work zones. This year on Go Orange Day, ATSSA hopes you will join us for a Facebook Live on Wednesday, April 11 at 12:30 p.m. Eastern! ATSSA staff will let everyone know why awareness of work zone safety is so important.